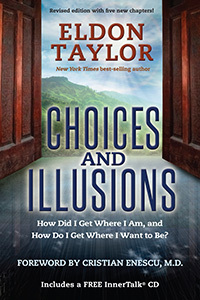 Eldon Taylor | Books - Choices and Illusions: How Did I Get Where I Am, and How Do I Get Where I Want to Be? This fascinating book holds an important key. Whether you’re interested in the science of thinking and beliefs, how your own mind operates, how others control your thoughts, why things just don’t work out for you, how you can create the life you’ve always wanted, how you can realize your true potential, how you can find peace, or, on a grander scale, how you can help make the world a better place, this book provides insights for all. Simply reading it will open your eyes to new worlds of possibilities. You’ll change once you’re exposed to the illusions most live under and by, and putting into practice any of these very simple teachings will open the door for you to achieve your highest potential. Choices and Illusions tells the story of one man's journey into the workings of the human mind and our reason for being. The adventure is every bit as exciting as the best of scientific discoveries. Eldon Taylor's approach is scientific and pragmatic, and his conclusions are inspirational and soul enhancing. 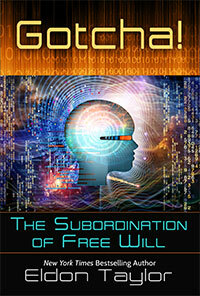 Choices and Illusions is the perfect blend of science and spirituality. Along the journey you will hear fantastic stories of divine intervention, learn why you think and do what you do not wish to do, and understand the very clear message that it is never too late, regardless of your past actions. Eldon says, "Many believe that self-help and self improvement is about rags to riches, failure to success, and so forth, when indeed it is the beginning of a journey into self- discovery. Inside every human being is an eternal truth and a life purpose. Using our mind power is simply starting the engine on that journey of self-discovery and highest self actualization." — Elaine Smitha, author of If You Make the Rules, How Come You’re Not Boss? I have known and admired Eldon Taylor for over 20 years. When we were struggling to build America’s first National Judo Institute in Colorado, Eldon called to discuss the psychological progress of our athletes. He volunteered to visit us at his own expense to create a subliminal audio program for our Judo champions. We worked out the affirmations with Eldon’s help and used the program a great deal. 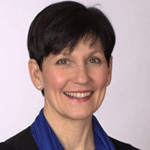 That audio program was, I believe, an important factor in our winning first place in America as a team for several years, securing several spots on the 1992 US Olympic Judo Team, and Kate Donahoo’s fifth place finish in those Olympics.